Kohan Restaurant Lake Tekapo, Lake Tekapo, Canterbury. Information, Photos and Reviews. With stunning views from the window, Kohan which means ‘Lakeside’ in Japanese has been in Tekapo from 1993. Our excellent quality glacier-fed Salmon, variety of dishes and delectable homemade desserts tempt the taste buds of people from all around the world. Treat yourself to a memorable and sophisticated culinary experience. 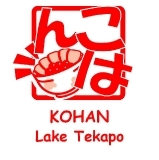 Nobody has reviewed Kohan Restaurant Lake Tekapo yet, Be the first. You are submitting a booking enquiry. Kohan Restaurant Lake Tekapo will then contact you by email with details of availability and prices.